On 24 June 1932, the People’s Party seized power and launched a transformation from absolute monarchy to a democratic regime in Siam. They made the significant announcement that sovereignty belonged to the people and enumerated six principles that highlighted the importance of rights, liberties, and equality. The seizure of power by the National Council for Peace and Order (NCPO) on 22 May 2014 was completely different. The NCPO seized sovereignty from the people and took complete control of legislative, administrative and judicial power. By stipulating in the 2014 Interim Constitution that they were exempt from any and all responsibility, the NCPO proclaimed themselves as the sovereign, or as the holder of sovereignty, the supreme power in the country.This is a sovereignty which has no basis in the people. The NCPO has further established a power structure which is closed to refutation or opposition by the people, and even denies people the right to receive reparations for the exercise of state power. The courts have even acknowledged and accepted the authority of this sovereignty across many cases. In sum, the people have been fully dispossessed of their sovereignty and their rights and liberties during the past two years of rule by the NCPO. This is the case even though the NCPO promulgated an Interim Constitution in July 2014 to provide the appearance of the rule of law and to indicate that the country had returned to be governed by a legal system. But upon examination of the legal system under the NCPO, it is clear that the content of that system is very far from the rule of law. The NCPO cited their sovereign power to construct an Interim Constitution and promulgate hundreds of NCPO Orders and Announcements to control the country. Between the coup in 2014 until 19 June 2016, the junta issued 198 NCPO Orders, 123 NCPO Announcements, and 76 Head of the NCPO Orders which apply and are enforced across all aspects of rule in the country. The legislative branch, or the organization which promulgates laws, was appointed by the NCPO, as the Head of the NCPO serves as the head of the executive branch. One of the NCPO Announcements placed certain categories of legal cases within the jurisdiction of the military court, which constitutes interference with the judicial branch. With this in mind, it can be said that power in all respects is in the hands of the NCPO. The important question then becomes, when the people are dispossessed of their sovereignty, how does the NCPO exercise power as a regime? The answer to this question provides an explanation as to how the junta has been able to retain executive power for the past two years. By entering power by fomenting a coup, the NCPO generated a problem of political legitimacy for itself; in order words, the NCPO exercises state power without any democratic legitimacy. The arbitrary exercise of power in violation of human rights will inevitably aggravate disapproval of the regime at the international level and may even increase the level of this disapproval within the country. The human rights situation began to decline immediately after the junta seized power and exercised their authority to suppress opposition and resistance. Rather than using armed force to directly seize rule of the country, the NCPO exercises their authority by enforcing something called “law” and prosecuting cases against people who commit offences in something that only appears to be a “justice system.” The NCPO claims that they have taken these actions for the maintenance of peace and order in society and the protection of state security. The actions in the name of “law” and the “justice system,” which only bear a semblance to their real predecessors, have been guided and directed by the NCPO and the military. Therefore, these actions have been used as instruments to aid in improving the image of the NCPO. In other words, “law” and the “justice system” are used to create an image of the NCPO as a rule of law regime. Upon analysis of the content of the aforementioned laws and justice system, including the Interim Constitution, however, what is instead clear are the distortion of principles and defects of the process. The distortion and defects indicate that “law” and the “justice system” are merely instruments in the panoply of mechanisms of coercion used by the NCPO in the violation of the human rights of the people. Thai Lawyers for Human Rights was established on the evening of 24 May 2014 in order to provide legal assistance to individuals whose human rights were violated and to collect information about the violation of human rights after the coup. To date, TLHR has provided legal assistance to a total of 119 people who are accused or defendants across 86 cases. In addition to those legal cases in which TLHR provides assistance, there are a large number of other people who have not been formally charged but whose human rights have been violated and whose lives have been impacted by the exercise of power by the NCPO. According to information compiled by TLHR, between the coup and 30 April 2016, military officials have summoned at least 1,006 people to report themselves or attend “attitude adjustment” sessions on military bases. The authorities have intervened, stopped, or forbidden at least 130 seminars or public activities from taking place. At least 579 people have been arrested under martial law or Head of the NCPO Order No. 3/2015. This report offers an analysis of the mechanisms through which the NCPO has exercised power to control the people and lend support to their own rule over the past two years. These mechanisms have functioned as instruments of coercion in respect to all kinds of political expression and systematized the violation of human rights. There are four primary kinds of mechanisms used by the NCPO: 1) The summoning of individuals to report themselves and state surveillance; 2) The construction of “law” and the “military-controlled justice system”; 3) The use of both ordinary and special laws as tools of political suppression; 4) The use of the 2014 Interim Constitution to prop up the exercise of power and foreclose accountability. During the first period after the coup (May to July 2014), the NCPO issued 37 orders summoning 472 individuals to report themselves to the military. In addition to this number, during and following the first period there were also individuals who were summoned through means other than official, broadcast orders. This was especially the case in the provinces in which military officials instead raided the homes of targeted individuals, followed these individuals, or personally contacted them and told them to report to military bases. In some cases, relatives of targeted individuals were taken into custody in order to pressure them to report themselves. According to information compiled by Thai Lawyers for Human Rights, a total of at least 1,006 individuals were summoned to report themselves across the country. This number included national and local politicians; leaders of political groups, especially local red shirt groups; activists; members of social movements; academics; and nongovernmental organization workers. During the first ten months after the coup, the NCPO and military officials cited the authority of martial law to detain individuals who were summoned to report themselves for up to 7 days on military bases. The NCPO revoked martial law on 1 April 2015, but military officials retained the power to detain individuals on military bases for up to 7 days without having to request a court warrant under Head of the NCPO Order No. 3/2015. This order was issued under the authority of Article 44 of the Interim Constitution. In many instances of summoning and detention, the individuals were interrogated and questioned about their backgrounds even though they had not committed any crimes. Under NCPO Announcement No. 39/2014, those who reported themselves had to sign statements agreeing to the conditions that they would not engage in any political activities and that they would not leave the country without the permission of the NCPO. The NCPO further stipulated that any violation of these conditions would constitute a crime that fell within the jurisdiction of the military court. These agreements to binding conditions constitute an instrument of intimidation used to suppress political organizing during the past two years. Despite the choice implied in the word “agreement,” these agreements were made under conditions of force and detention by state officials in which those who signed did not have the freedom to choose whether or not to sign. The military officials’ exercise of special authority has also taken the form of detention in secret, incommunicado locations. 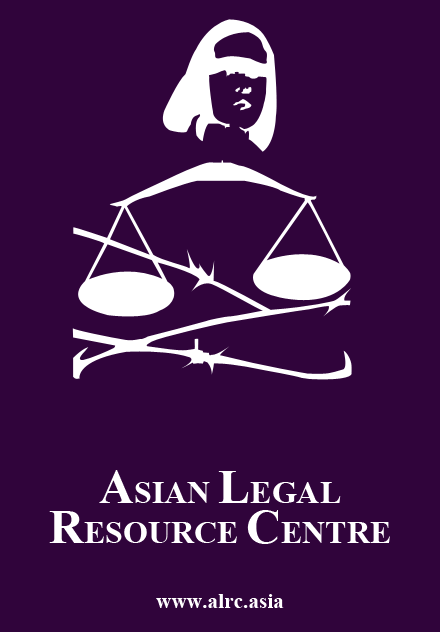 Relatives, lawyers, and ordinary individuals are unable to contact or access those who are detained. The civilian Criminal Court even refused to investigate the detention of individuals held under the authority granted by Head of the NCPO Order No. 3/2015. The majority of those detained are those who exercised their rights and liberties to peacefully express their opinions and demonstrate. This is arbitrary detention and is a violation of Article 9 of the International Covenant on Civil and Political Rights (ICCPR). Arbitrary detention continued throughout the NCPO’s second year of rule. This included, for example, the detention of Mr. Thanakorn Siripaiboon, who was subsequently charged with violation of Article 112 for posting a picture on Facebook that defamed the king’s dog; the detention of Mr. Sarawut Bamrungkittikhun, the administrator of the “Peod Praden” (Open Issues) page; and the detention of Mr. Watana Muangsook, a Pheu Thai Party politician, among others. The detention of individuals in secret locations which cannot be inspected places them at risk of being tortured and subject to other forms of cruel and brutal treatment. Thai Lawyers for Human Rights has found that there are at least 18 individuals who have complained of being tortured while detained under martial law or Head of the NCPO Order No. 3/2015, including Mr. Sansern Sri-unruen, a defendant in the Criminal Court bomb case. 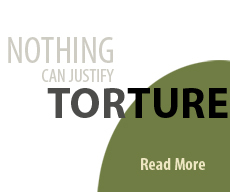 To date, no progress has been made in the investigation of this torture complaint. Simultaneously, individuals targeted by the NCPO who are summoned and detained remain targets after their release. They face continued monitoring and surveillance. In many areas of the country, military officials summon individuals for periodic conversations on military bases. They use a phrase invented by the NCPO: “invite for attitude adjustment.” If those targeted were truly “invited,” then they would have the freedom to decide whether or not to go and the authorities would have to respect their decision. Instead, the invitation operates as a threat. For example, Mr. Pravit Rojanaphruk, a former reporter for The Nation, and Mr. Thanapol Eawsakul, the managing editor of Fa Diew Kan Press, were both summoned to report and then released but then detained again after they expressed criticism of the NCPO.In many cases, officials continue to meet with, telephone, follow, and otherwise surveil former detainees. They are sometimes summoned following military reshuffles in order to meet the new commander in a given area. In many provinces, military officials monitored and followed local leaders to and from their homes daily during the first period after the coup. Others were compelled to report to the local military base and sign in weekly and told to inform officials if they left the area. In some cases, local activists have been repeatedly detained on military bases for expressing political views or engaging in political activism. Although the frequency of detention has been reduced, monitoring and surveillance increases each time there is a new wave of political organizing. During the last two years, many people have therefore had to carry out their lives in constant view of the state. In addition to surveillance of those who were the original targets of the NCPO, the regime also intensively and strictly monitors activities of the people. Officials attend, patrol, photograph, or make video and audio recordings of nearly every public activity that is permitted to take place, even those not at all about politics. The officials sometimes reveal themselves and other times are clad in plainclothes. Their presence at events has become usual. Activities about issues of livelihood, natural resources, and community rights have also been followed closely. Community leaders and nongovernmental organization workers have been summoned to report to military bases and for “attitude adjustment.” This constitutes interference and is intended to deter movements and organizing activities with affected villagers and communities. The state monitors and surveils thought. The “eyes” of the NCPO monitor and track people’s expression of opinions on social media and other locations online. In many instances, individuals are summoned to military bases following the expressing of an opinion online. Instances include, for example, the case of a nongovernment organization worker who posted on Facebook about land disputes and referred to the NCPO, and the case of Mr. Sarawut Bamrungkittikhun.In some cases, even private postings or messages have been seen by the military and used as the basis to warn, threaten or prosecute the authors. This raises questions about the legality of how state officials access information and the protection of the people’s liberty in using and communicating via the Internet. 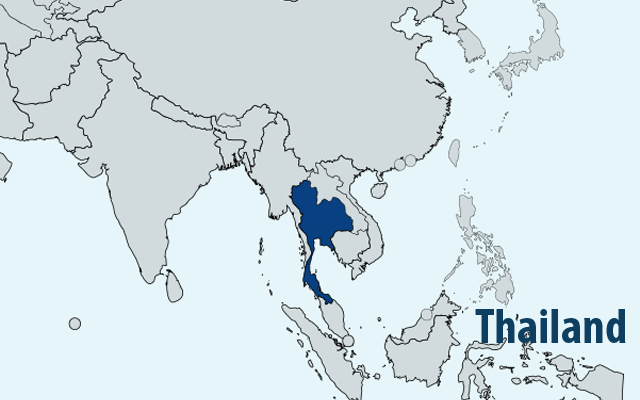 At present, Thai Lawyers for Human Rights is providing legal assistance to citizens in at least 23 cases in the military court released to expression of opinion online and violation of the Computer Crimes Act. These cases include, for example, the case of Burin and the mother of Ja New and the case of Mr. Harit and Ms. Natthika, all of whom are being prosecuted for the violation of Article 112 in private Facebook message conversations. Since the coup, the state apparatus, including the military, police, and various other security agencies, carries out comprehensive state surveillance of civilian political movements and expression of opinions across all spaces, including online social media. The state uses surveillance mechanisms further designed to ensure that civilians are aware that they are being surveilled, including summoning individuals to report to the military, detaining individuals on military bases, and sending military officials to homes and other private spaces for discussion and to suppress expression. These mechanisms constitute restrictions of the basic rights and liberties of the people and also create wide-ranging fear around the expression of political opinions. The junta’s maintenance of “peace and order” is therefore carried out through coercion of civilians. The military-controlled justice system created by the NCPO ensures that they maintain strict control over the entire judicial process. This control begins with the determination of what constitutes a violation of the law that must be examined in the military court, proceeds to prosecution of the individuals in the military court, and concludes with judgment and punishment by military judges. This control also includes using the special authority provided by Head of the NCPO Order No.3/2015 for military officials to carry out arrest, interrogation, and the taking down of an individual’s record before transferring him to police officials. In some cases, civilians are also detained in prisons established on military bases. After the coup, the NCPO cited sovereign power to issue Orders and Announcements that set limits on the exercise of basic rights and liberties. Normal activities of calling on the state to take action or otherwise participating in the setting of the political direction, all of which were legal under the previous democratic regime, were prohibited. In addition, the NCPO defined the violation of conditions of release following detention (which include prohibitions on expression of political opinions and involvement in political activities) as a prosecutable crime. If an individual exercised his basic rights and liberties (freedom of expression of opinion, freedom of assembly, freedom in the operation of political parties), he was in violation of the Orders and Announcements of the NCPO and was therefore criminally liable. The stipulation of crimes in the NCPO Orders and Announcements means that if there is an individual or group of individuals who do not accept the coup or do not agree with the rule by the NCPO, and who then use their freedom of expression to express their disagreement, assemble to demonstrate, organize activities, or express their opinion via other channels, or even if they do not report to the junta when summoned, then they are in violation of the law. The NCPO and military officials under the command of the NCPO can then cite the Orders and Announcements as the reason for the arrest and prosecution of the individual or group of individuals in order to halt those activities. On 22 May 2014, the NCPO launched the coup and issued NCPO Announcement No. 2/2014, which placed the entire kingdom under martial law. Martial law provided special authority to military officials under the command of the NCPO and elevated them above civilian officials. They were provided with the power to search, arrest, and detain individuals suspected of being enemies of the crown or nation for up to 7 days in any place of detention without having to obtain a warrant or any other authority to detain from the court. When martial law was subsequently revoked [except in southern Thailand], the Head of the NCPO used the authority in Article 44 of the 2014 Interim Constitution to issue Head of the NCPO Order No. 3/2015 which gave special authority, very similar to martial law, to military officials to suppress actions that threaten the peace, order, and security of the nation. Similar to martial law, Head of the NCPO Order No. 3/2015 provided military officials with the power to arrest, detain, and question individuals for up to 7 days before transferring them into the justice system administered under criminal law. In addition, however, Head of the NCPO Order No. 3/2015 augmented the power of military officials to be able to join police officials in the investigation of four kinds of offences stipulated in the order: offences against the king, offences against the internal security of the kingdom, weapons offences, and violations of NCPO Orders and Announcements. Military officials appointed as “Peace and Order Maintenance Officers” under the Order were also granted the status of investigation officials under the Criminal Procedure Code. The announcement of Head of the NCPO Order No. 13/2016 further expanded the special powers of the military to interfere in and control the judicial process. This Order provides military officials appointed as “Prevention and Suppression Officers” and “Assistant Prevention and Suppression Officers” with the same authority as law enforcement officers to summon, search, arrest, detain, and participate in the investigation of individuals as part of the prevention and suppression of 27 kinds of crimes. These crimes include, for example, violations of the public peace, offences against liberty and reputation, offences related to human trafficking, drug violations, weapons violations, tariff and customs violations, and offences related to land and forests, etc. Under this Order, military officials have the power to take action against individuals that they view as influential figures whose behavior and actions are criminal and pose a dangerous threat to peace and order or undermine the social and economic system of the country.The order provides wide discretion to military officials to interpret and enforce the law. Individuals who lead opposition in local communities against development and industrial projects, such as Mr. Thaweesak Inkawang, a leader opposed to the Chiang Rak waste power plant in Pathumthani province, and Mr. Lamom Bunyong, who is the president of Pak Nam Ban Rao Group in Rayong, have been targeted under this Order. Head of the NCPO Order Nos. 3/2015 and 13/2016 issued under Article 44 of the 2014 Interim Constitution have resulted in giving military officials the same powers as police officials. In turn, those suspected or accused of having committed crimes as defined by the NCPO find themselves in a criminal investigation and judicial process controlled by the military. They are arrested, detained, and investigated by military officials who are under the command of the NCPO. Several days after the coup, on 25 May 2014, the NCPO announced that four kinds of crimes would be placed within the jurisdiction of the military court: crimes against the king, crimes against national security, weapons crimes, and violations of NCPO Announcements and Orders, as well as any crimes carried out along with these four crimes. 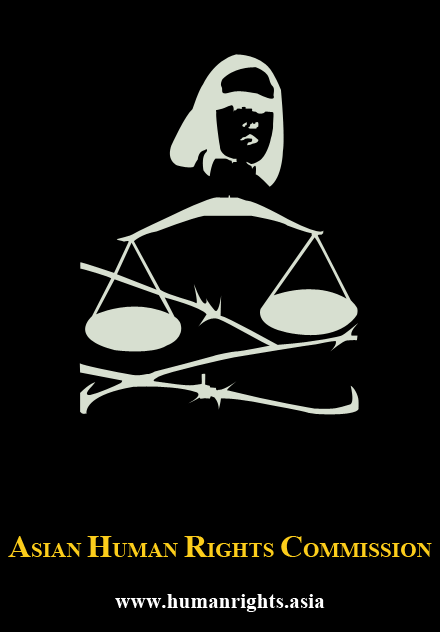 According to information from the Office of the Judge Advocate General, which is under the Ministry of Defense and administers the military court, from the coup until 30 September 2015, there were 1,629 civilians across 1,408 cases being prosecuted in the military court system across the country. Carrying out the prosecution of individuals and groups of individuals who have violated the authority of the NCPO in the military court system, in which every step, including the decision whether or not to prosecute a given individual or group, is conducted by a unit under the command of the Ministry of Defense, inevitably severely impacts the guarantee of the right to a fair trial under Article 14 of the ICCPR. This is because the structure of the military court that carries out the prosecutions lacks independence and impartiality as the military court is under the command of the Army and the Ministry of Defense. The Ministry of Defense has the power to appoint, transfer, direct, order, and reward or punish judges, who are military civil servants. This means that prosecution, judgment and punishment in the military court can be understood to be under the command of the executive. There are also inevitable questions about the impartiality of judges who adjudicate in cases in the military court about opposition to the NCPO. In such situations, the party who must appear in the court is prosecuted for his opposition to the NCPO, which is a junta comprised of commanders of the armed forces, and the military judges are under the command of the Commander of the Army. In addition, for those cases prosecuted in the military court during extraordinary times, which were those between 25 May 2014 and 1 April 2015 while martial law was in force, defendants did not have the right to appeal to either the Appeal or the Supreme Court. Accused individuals and defendants face several other problems and obstacles in accessing justice in the military court. For example, cases are marked by delays and a slow pace of prosecution because witnesses are scheduled one-by-one, and each witness only gives testimony for one morning every few months. Other procedures in the military court differ from the civilian courts of justice. For example, defendants are not brought to appear before the court when the military prosecutor sends a case to trial, lawyers are not always informed in advance about witness hearings, and evidence and other documents for a given case are often not permitted to be photocopied by the defense. The above passage was provided as the reason to establish a temporary prison inside the 11th Military Circle in the area of Nakorn Chaisri and Rama V Roads in Bangkok. General Paiboon Kumchaiya, the Minister of Justice and a member of the NCPO, signed the order. Although the prison is under the control of the Bangkok Remand Prison, it is located inside a military base and is part of the expansion of control of civilians by military officials. In contrast to defendants in other national security cases, who are under the control of prison officials, those held in this prison are under the control of military officials who have been appointed as “special wardens.” This has impacted detainees’ right to a fair trial, especially the right to meet and consult a personal lawyer. The use of this prison to detain civilians inside a military base constitutes arbitrary detention and is in conflict with Article 9 of the ICCPR. This is detention that is not in line with international standards according to the United Nations Principles Governing the Administration of Justice through Military Tribunals, which note that civilians who are not military officials are not to be detained in military spaces. The location of the prison inside a military base also increases the opportunity for military officials to detain individuals for longer than 7 days. Lawyers of clients detained inside this temporary prison have reported that a military official has been present each time that they have met with their clients to advise them and obtain information to be used in their defense. In addition, all of their questions had to be screened by a military official. If a question was deemed to impact “security,” then the military official would not allow the lawyer to ask it. These practices differ from the ordinary prison system in which questions are not pre-screened and in which there are rooms for private consultation between lawyers and clients. In addition, two out of three persons accused of the crime of citing the institution of the monarchy for personal gain who were detained inside this temporary prison, “Mor Yong,” or Mr. Suriyan Sucharitpolwong and Police Major Prakrom Warunprapa, died while in custody. There has been no review of the prison and neither of the families participated in the autopsies. This constitutes a denial of their rights in the judicial process related to a death in state custody and is in violation of the right to a fair trial under Article 14 of the ICCPR. In addition, Mr. Chuchat Kanphao, the lawyer of Adem Karadag, a detainee in the Ratchaprasong bomb case, has publicly stated that his client was tortured into confessing while detained inside this prison as well. Through this series of four stages, the NCPO and the military enact the laws, enforce the laws, participate in the investigation, determine whether or not to indict, and render judgements in cases. This has created a judicial process and justice system under the direction of the military and in which the military controls the results. This therefore impacts the rights of the accused and defendants to access justice and seek fairness. Inevitably, this also serves as an instrument to intimidate and frighten those in society who are not prosecuted but witness the prosecution of others until they become afraid to express their ideas. In parallel with the use of NCPO Orders and Announcements, the junta also uses existing laws to suppress political expression. In particular, existing law has been interpreted in a manner that expands its meaning and application, rates of punishment have increased, cases of violation of certain laws have been placed within the jurisdiction of the military court, and accusations of violation of the law have been used as a form of political intimidation. The provision of this importance was evident in the NCPO’s summoning of individuals and activists who had a history of being involved in campaigns to amend or revoke Article 112, or had a history of having expressed opinions or criticism of the institution of the monarchy. The NCPO also issued NCPO Announcement No. 37/2014, which placed Article 112 cases within the jurisdiction of the military court. The TLHR is responsible for providing legal assistance in 18 cases of alleged violation of Article 112 in which civilians are being prosecuted in the military court, out of a total of 29 cases. Out of those cases in the military court, judgments have been delivered in 9 cases. Defendants in all 9 cases were not granted temporary release, chose not to fight the case, and confessed to the crime(s) as accused. Their crimes stemmed from posting on Facebook, being recorded while they held a conversation, organizing online political analysis programs or shows, uploading clips online, sending email with content that was judged to be criminal, sending private chat messages, writing poems, etc. After the coup, the interpretation of Article 112 broadened to include protection of figures previously not protected under the law, including accusation of a person who made a Facebook post satirizing the royal dog and making false claims about Princess Sirindthorn, neither of whom are named in the law. Accusations have been made for clicking “like” on a Facebook post deemed to be within the scope of Article 112 and not dissuading or condemning a person who expressed an opinion deemed to be within the scope of Article 112. The interpretation of Article 112 has also expanded to include prosecution of a large number of people who have made false claims about the monarchy for personal gain. Previously, the law did not include these actions as components of possible offence. Article 112 cases tend be punished with higher penalties in the military court system than the civilian courts of justice. On average, the military court metes out punishment of 8-10 years per count, whereas the civilian court metes out punishment of 5 years per count. This increase has resulted in a new record for the longest sentence handed down under Article 112, which was in the case of Pongsak, who was sentenced to 60 years imprisonment, closely followed by the case of Sasiwimol, who was sentenced to 56 years imprisonment. Before the coup, Article 116 of the Criminal Code, or the crime of “sedition”was used infrequently. But since the coup, this measure has become a primary instrument used by state officials to obstruct expression by those who criticize the NCPO. The NCPO does so by interpreting public expression to amend or revoke unjust laws and peacefully calling for a change of government as seditious acts that cause insubordination among the people. In doing so, the NCPO has interpreted the “government” to be equal to the “state,” even though they are not equivalent. At present, there are at least 39 people who are being prosecuted under this law. Ongoing cases include, for example, the case of Mr. Pansak Srithep, who is being prosecuted for holding the “Proactive Citizen Walking” activity, and the case of a woman who took a selfie with a red water bucket. The case of Mr. Preecha Kaewbanpaew, who gave flowers to Mr. PansakSrithep, has already been adjudicated. Mr. Preecha confessed and the military court sentenced him to 6 months imprisonment, which was suspended for 1 year, and a fine of 8,000 baht. The assessment of Thai Lawyers for Human Rights is that the actions for which individuals have been accused of violation of Article 116 over the past two years do not actually constitute crimes. Yet they are still indicted and prosecuted in military court. Examples of Article 116 accusations include the case of Rinda, who posted a message to Facebook about a money transfer by General Prayuth, and the case of “Mrs. Chaem,” who posted a message to Facebook about the Rajabhakti Park corruption scandal. The military court issued a recent opinion that these two cases were not violations of Article 116 and therefore not within their jurisdiction, which resulted in their transfer to the civilian courts of justice. After the announcement of martial law, the junta issued NCPO Announcement No. 7/2014, which prohibited public assembly of 5 or more persons and set the punishment as imprisonment of up to 1 year and/or a fine of 20,000 baht. Then, after martial law was lifted, it was replaced by Head of the NCPO Order No. 3/2015. Article 12 of this Order prohibits political assembly of 5 or more persons and sets the punishment as imprisonment of up to 6 months and/or a fine of 10,000 baht. Then, the National Legislative Assembly passed the 2015 Public Assembly Act, which went into force in August 2015. This means that at present there are two laws which limit freedom of assembly and the organizing of public activities. Head of the NCPO Order No. 3/2015 and this law passed by the unelected National Legislative Assembly have been used by state officials in an overlapping fashion. In addition, the meanings of “political assembly” and “public assembly” have been interpreted broadly. For example, holding a press release offering an academic view in a private place has fallen within the scope of offence, such as the case of the academics who issued “The University is not a Military Base” statement, has been cast as violation of Head of the NCPO Order No. 3/2015.Prosecution under both measures has also been used to threaten individuals into cooperating with respect to organizing activities or assemblies that are about politics or that state officials claim will impact “security.” In addition, if an individual or group of individuals wishes to organize a public seminar, they must inform the military officials beforehand. To date, the military authorities have interfered in, obstructed, or forbidden at least 130 public activities and seminars. At least 85 individuals have had cases brought against them for joining political or public assemblies of 5 or more people. Within this number, at least 25 people across 7 cases have been prosecuted for violating Article 12 of Head of the NCPO Order No. 3/2015.These cases include those arrested for assembly at the Bangkok Art and Culture Centre (22 May 2015), the Democracy Monument (25 June 2015), “The University is not a Military Base” press release (31 October 2015), and the train to Rajabhakti Park (7 December 2015). After the coup, law and the justice system were taken up by the state as a tool to threaten human rights defenders who carried out their professional duties in providing legal assistance, expressing opinions, and campaigning about the violation of human rights or about the rule of the NCPO. State officials have engaged in judicial harassment of human rights defenders in many cases, including the case of Miss Sirikan Charoensiri, the lawyer for the 14 students in the New Democracy Movement. Shortly after the arrest of the 14 students, the police officials wanted to search her car to obtain the students’ mobile telephones. As the police officials did not have a warrant, she refused. In response, the police officials accused her of obstruction of duty and concealing evidence by refusing to allow soldiers to search her car. Another example of judicial harassment is the case of making a false complaint brought by military officials against Miss Benjarat Meetian. She filed a case against Major General Wicharn Jodtaeng, from the NCPO’s Legal Office, Police Lieutenant General Srivara Ransibrahmanakul, the Deputy National Police Commander, as the chair of the working group on “grave defamation of the royal institution,” and the working group itself. She accused them of derogation of duty, propagation of defamation, and making a false complaint during their declaration of the arrests in the suspects of the KhonKaen model network. Only 2 months after the coup, the NCPO promulgated the 2014 Interim Constitution for use in place of the prior, nullified Constitution. The NCPO announced that the Interim Constitution contained provisions that guaranteed the rights and liberties of the Thai people which were protected according to the tradition of democratic rule and the country’s international obligations. These provisions, and the acknowledgment of rights and liberties in the Interim Constitution, should provide the people with a channel to counter the exercise of power by military officials and the NCPO. The exercise of power under NCPO Orders and Announcements has frequently been marked by illegality and illegitimacy. There are two channels through which citizens whose human rights are violated can challenge this exercise of power: (1) rely on the authority of the Administrative Court or the civilian courts of justice to review the legality of the exercise of power by military officials following NCPO Orders and Announcement; and (2) rely on the authority of the Constitutional Court to review the constitutionality of NCPO Orders and Announcements. These are mechanisms within the ordinary legal system that allow citizens to protect themselves from the arbitrary exercise of power by the state. However, although the Interim Constitution stipulates the protection of the rights and liberties of the people, it has also become an instrument of the NCPO which guarantees and affirms the exercise of power without accountability in the military-controlled justice system. This results in the impossibility of any other state agencies countering the exercise of power of the NCPO and therefore the impossibility of protecting the rights and liberties that are mentioned in the Interim Constitution. The exercise of power without accountability is accomplished through 2 key steps. Step No. 1 Articles 44 and 47 of the 2014 Interim Constitution stipulate that the Orders, Announcements, and the Head of the NCPO Orders, which form the basis of the authority for the exercise of power that impacts the rights and liberties of the people, to be legal, constitutional, and final. This means that the Administrative Court and the civilian courts of justice are unable to review the legality of the aforementioned exercise of power by the authorities, even if the facts show that it was illegal. An example of this can be found in Supreme Administrative Court Order No. 617/2015 made on 26 November 2015 which upheld the NCPO’s lack of accountability. The Supreme Administrative Court dismissed the lawsuit filed by Mr. Watana Muangsook against the Head of the NCPO to revoke NCPO Announcement No. 21/2014, which forbids selected individuals from traveling outside the kingdom. The Supreme Administrative Court ruled that they had a duty to adjudicate the case according to the Constitution. Therefore, since Article 47 of the Interim Constitution guarantees that all NCPO Announcements issued between 22 May 2014 and when the first post-NCPO Cabinet enters office are legal, constitutional, and final, they could not review its legality. Under the junta regime, the power of the judiciary to function as a check on the power of the executive is almost nonexistent. Step No. 2 The Interim Constitution creates mechanisms to obstruct the people from exercising their right to review the constitutionality of the Orders and Announcements at two different levels. First level: The Interim Constitution limits the organizations that can call for a review of the constitutionality of an NCPO Order or Announcement as enforced in a particular case to the Constitutional Court and plenary sessions of the Supreme Court and the Supreme Administrative Court. There are no avenues through which citizens can bring a petition directly. Further, it appears that it is not possible to bring a case for review by the Constitutional Court if it falls within the jurisdiction of the military court. For example, Miss Jittra Kotchadej submitted a petition in the Bangkok Military Court requesting Constitutional Court review of NCPO Announcement Nos. 37/2014 and 38/2014. But Bangkok Military Court Order No. 6/2015, issued on 6 March 2015, dismissed the petition and noted that Article 5 of the 2014 Interim Constitution did not establish a channel for military court judges to send matters for Constitutional Court review. Second level: A very limited channel remains in the 2014 Interim Constitution for citizens to petition for Constitutional Court review of NCPO Orders and Announcements. However, Articles 44 and Article 47 of the Constitution guarantees that the same NCPO Orders and Announcements, no matter the content, are legal, constitutional, and final. As a result, the Constitutional Court is unable to review the constitutionality of these measures, even though they violate the rights and liberties of the people, also guaranteed by the Constitution. Finally, the 2014 Interim Constitution of the NCPO has destroyed the rule of law and the protection of the human rights. That is to say, in addition to the NCPO using the Constitution to guarantee that all of the Orders, Announcements, and Head of the NCPO Orders are “legal, constitutional, and final,” according to Articles 44 and 47, perpetrators of all of the executive, legislative, and judicial actions of the NCPO, even those that are illegal and include grave violations of human rights, “shall be exempted from being offenders and shall be exempted from all liabilities according to Article 48. Therefore, these three articles of the Interim Constitution place the NCPO and related state officials beyond accountability. 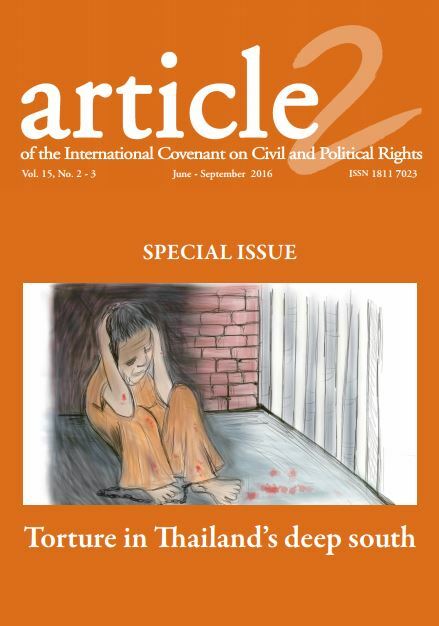 The dispossession of citizens’ rights in accessing justice and reparations for damages sustained from the exercise of state power are grave violations of both their human rights and Thailand’s international obligations. In addition, the Constitution provides for the arbitrary exercise of power without accountability in a justice system controlled entirely by soldiers. This creates a void in which even through the Constitution legislates the protection of the rights and liberties of the people, this has no effect on the actions by the junta. The defense given by the NCPO that their actions are in the name of “law” and the “justice system” plays an important role in the creation of legitimacy for their arbitrary exercise of power. This creates an image of a state that enforces the law against those who commit crimes and is consistent the rule of law. But upon examination, it becomes clear that the content of this justice system was formulated by the junta itself. Existing law has been interpreted broadly and pressed into service as a political instrument. The justice system is controlled by the military. The intimidation of citizens both by summoning them to report and surveilling and monitoring them is comprehensive. Taken together, this forms a basis for the intentional and systematic violation of the human rights of the people. The 2014 Interim Constitution is used to prop up the legality of this military-controlled justice system and ensures that the entire system is exempt from review. This has resulted in the exercise of total power in the absence of any accountability. While claiming to “proceed according to the law,” the two years of rule by the NCPO has been a period in which Thai society allowed one group, without a foundation rooted in the sovereignty of the people, to exercise the legislative, executive, and judicial authority of the state. They have exercised this authority without accountability for its present or future impacts. 3. Return power to the people swiftly, organize elections, and draft a constitution that comes from the people. With respect for the rights and liberties of the people.